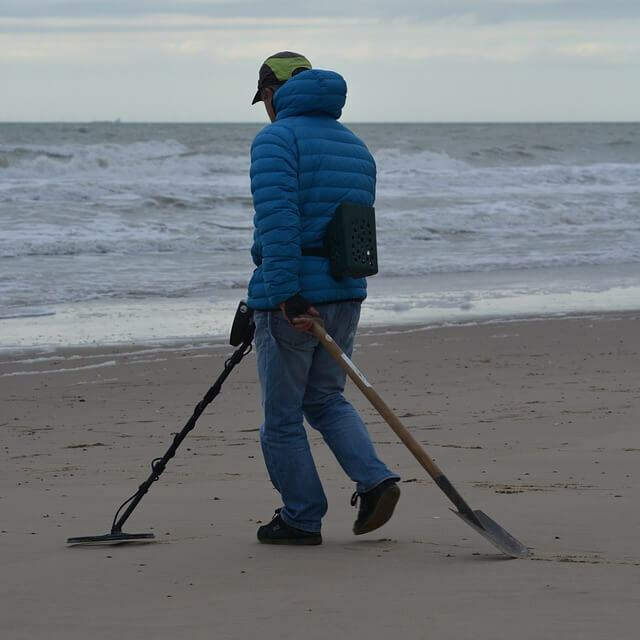 A metal detector is an electric instrument used to detect the presence of metal and they can be used to not only detect metal within objects but also underground. While some very early models were developed in the late 1800’s and were primarily used in the medical field for locating bullets in patients, serious advancements were not achieved until 1920’s. These newer units worked much better than their bullet finding counterparts, using resonating radio frequencies. Detectors gained popularity amongst many, including governments and the military for the purpose of locating unexploded mines. Modern day detectors used advanced circuitry and allow for refinement and setting of sensitivity, discrimination, notch filters and threshold volume. They’re now lighter and smaller than ever before and use much less battery power, while also doing a much better job at discriminating. There are specialized units that are used by archeologists and treasure hunters who look for shallowly buried items. Are metal detectors safe to use? How deep can a metal detector detect metal? Are they safe for people who have pacemakers? First, metal detectors are considered to be extremely safe and can be used repeatedly with no adverse effects that would raise health concerns. An electromagnetic pulse is generated by transmitting coils that also act as a receiver of magnetic fields, and will convey the presence of any, should they be detected. These detectors are usually regulated and are routinely inspected to ensure their safety. One of the more popular questions many ask about these devices is how deeply and accurately can they detect metal. The answer varies depending on several factors, including the capabilities of the detector, the composition of the soil, the length of time the object being detected has been buried, as well as the size and shape of the object. Lastly, magnetization can also be a factor for ferromagnetic locators as a magnet can be detected at much greater depths than a mass of iron for example. There seems to be a consensus that metal detectors can affect the operation of a pacemaker. There have been no reports of any hobby type detector interfering with the normal operation of a pacemaker, and the magnetic fields that hobby type detectors emit is much weaker than the geomagnetic field that always surrounds us and also many times weaker than the electromagnetic radio waves from CB radios, cell phones of broadcast transmitters, most of which also surround us at all times. False signals are just what they sound like – your detector letting you know that metal is present when in reality there is none. This most commonly occurs with detecting natural iron oxides and often times the only way to neutralize the false signals is to lower your detector’s sensitivity. One of the most common foreign materials found in food is metal. This is largely a result of food processing equipment being made out of metal. Common sources of contaminations are screws, bolts, lead shot in meat, screen wire, blades and small metal bits. The importance of being able to locate and remove foreign contaminants such as these is paramount and metal detectors play a vital role in this process. Detection sensitivity also plays a key role in detecting metal in food products. Product temperature, density and characteristics all influence the ease of which metal can be detected in food. Metal detectors do not guarantee that all foreign metal objects will be found in products, but they do greatly reduce the likelihood of them making it to your dinner table. The global need for metal detection has grown as security requirements have increased. Several industries routinely rely on the use of metal detectors to keep us safe from potential harm. Airport security is one of the first areas you think of that use multiple types of metal detection, with walk through as well as hand held units being used all the time. Any place where security is important, you’ll find metal detectors in use. Government buildings, Nightclubs and even many high schools now employ the use of metal detectors to mitigate the chance of dangerous weapons being brought into places where security is expected.